In today’s fast-paced world of media management broadcasters, studios and content producers are working against tight deadlines and SLAs while dealing with a large number of tasks, work orders, communications, editing jobs, QC operations, and disparate systems and technologies within their MAM-driven workflows. That’s where MAM orchestration solutions come in. Acting as a central operational hub, a MAM orchestrator saves time and money by automating many manual operations throughout your media management lifecycle — from bulk ingestion and transcoding to OTT fulfillment and playout. Since the company’s inception in 2005, custom video solutions development has been at the core of our service offering. This experience, coupled with an understanding of media workflows, allows us to understand your pain points and find no-nonsense ways to tackle them. We bring UI design and user experience acumen to every engineering task at hand. 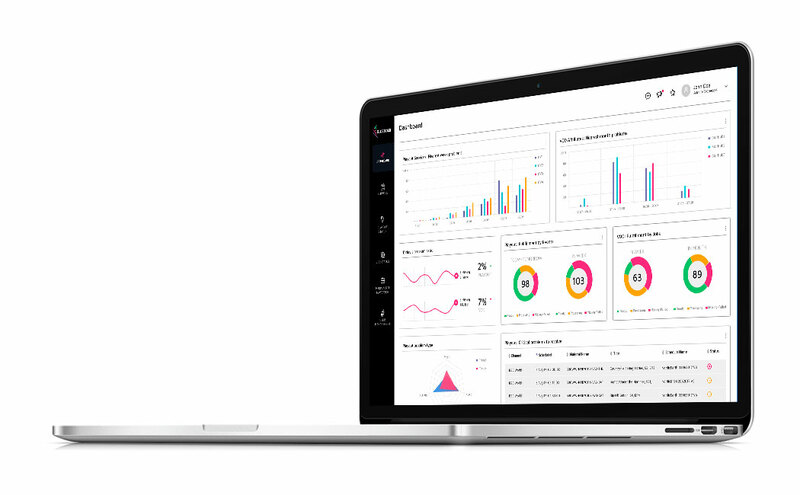 Be it frontend development, workflow design tools, or sophisticated business intelligence dashboards, our chief goal is to create an intuitive user experience every stakeholder will love. Take advantage of our computer vision and machine learning know-how to automate video workflows around image analysis, quality control, and compliance. Or capitalize on Robotic Process Automation (RPA) to automate legacy systems that are too costly to redesign. Build a custom orchestration solution to trigger, control, and monitor every MAM-related process, operation or user task from a single seat. Easily define workflows to manage content, metadata, scheduling, communications, distribution, and more — with minimal or no operator input required. Seamlessly integrate with every MAM component you already use. From transcoding and transmuxing to automatic QC to high-speed data transfer to creative editing to scheduling — an orchestrator will transparently handle jobs across all your systems while enabling advanced rule management, queue prioritization, and status monitoring. Technical metadata is key to workflow orchestration within a MAM system. Implement metadata schemas that fit your unique business needs, then integrate metadata into your workflow. Trigger complex workflows on data input and enrich metadata when a process completes — in a completely automated way. Get instant, real-time insights into your MAM operations as well as business-critical KPIs via intelligent BI dashboards. Enjoy 100% visibility across all systems and silos within your enterprise and beyond. Identify performance bottlenecks and improve your business processes with confidence based on hard facts. Use powerful collaboration tools to support a work-anywhere environment with multiple vendor and client teams. Tap into alerts, conferencing, file sharing, and chat functionality to bridge the gap between geographies and organizations — while ensuring content protection via security-hardened web clients and mobile apps. Leverage our UX expertise and engineering know-how to create a workflow designer that is accessible to a business user of any background. 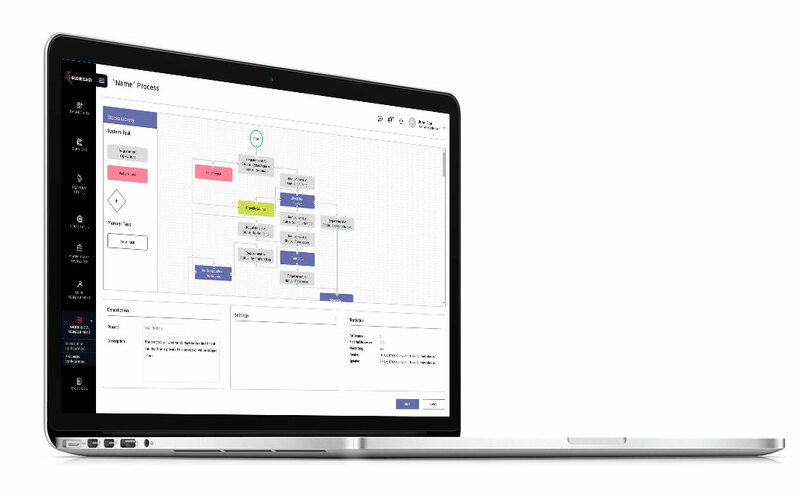 Easily describe flows, steps, triggers, dependencies, operations, and alerts in a point-and-click GUI to ensure that content travels seamlessly through the pipeline. Make sure only authorized users have access to sensitive content or business-critical orchestration workflows. Implement fine-grained user management and access control that works flawlessly across locations, distributed teams, external clients, or third-party service providers. Sometimes your existing solutions just don’t cut it. Capitalize on our years of experience in online video and custom product development to enhance or retool your existing systems. From UI and UX to back­end and custom API development — we’ve got you covered. An advanced cloud-based orchestration solution designed to radically streamline MAM workflows across an international broadcasting company. The solution automates a great variety of custom-tailored workflows around playout, VoD, media asset management, monitoring and reporting, business intelligence, process management, subscriptions, and more. Engage Us in Your New Project! Contact us today to discuss your specific needs regarding online video, and a solution adviser will get back to you within 24 hours.